©2015 The Andy Warhol Museum, Pittsburgh, PA, a museum of Carnegie Institute. All rights reserved. Fifty years ago, director Andy Warhol and writer Ronald Tavel embarked on a collaboration that resulted in some of the most striking films of the 1960s. As part of Film Love’s 2015-16 season at the Atlanta Contemporary, we present Warhol and Tavel’s little-seen political satire The Life of Juanita Castro. The film’s script was inspired by an early 1965 Manhattan dinner with Fidel Castro’s exiled former brother-in-law (who subsequently appears in the film). Taking further cues from a sensational Life magazine article by Castro’s sister titled "My Brother Is a Tyrant and He Must Go," Tavel converted the entire Cuban revolution into an outrageous, gender-bent exercise in camp and petty family squabbles. (Brothers Fidel and Raúl Castro, as well as Che Guevara, are all played by women.) As usual, Warhol played the role of on-set destabilizer, casting his filmmaker friend Marie Menken – a volatile, unpredictable performer – in the film’s title role just minutes before filming began. 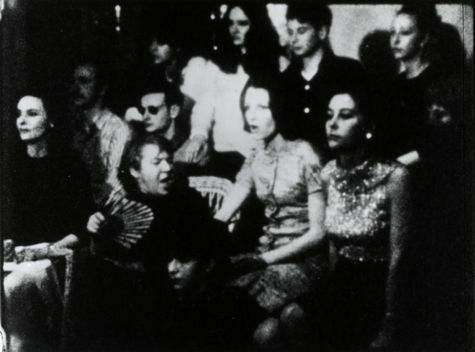 As often in Warhol’s films, the real-time filming of the performance creates visible onscreen tensions between the actors, subverting theater and film conventions as much as politics. The Life of Juanita Castro was written (according to Tavel himself) in only three hours, and was filmed by Warhol a few weeks later in even less time. But all the principal players were working at a creative peak, and the many variables – intentional and otherwise – of filming came together in a work of great immediacy. Even Village Voice critic and notable Warhol skeptic Andrew Sarris admired the film, stating in his review, "The whole thing is outrageous…making a comment on a revolution that has long since been consigned to camp. The whole show was given away when word got out that Fidel Castro wanted to be played on the screen by Marlon Brando and Raoul by Frank Sinatra. From that point on, Cuba became the property of Andy Warhol and Ronnie Tavel, and they have made the only valid statement I have seen on the subject in the past several years." The Life of Juanita Castro is one of three Film Love shows to be presented at the Atlanta Contemporary during the 2015-16 season. Each of the shows at the Contemporary will feature films that undermine cinematic storytelling in order to subvert political subjects. Andy Warhol’s The Life of Juanita Castro is a Film Love event. The Film Love series provides access to great but rarely seen films, especially important works unavailable on consumer video. Programs are curated and introduced by Andy Ditzler, and feature lively discussion. Through public screenings and events, Film Love preserves the communal viewing experience, provides space for the discussion of film as art, and explores alternative forms of moving image projection and viewing. Film Love was voted Best Film Series in Atlanta by the critics of Creative Loafing in 2006, and was featured in Atlanta Magazine's Best of Atlanta 2009.